California owes the U.S. Department of Education an ESSA plan on Sept. 18, but the current draft doesn’t do enough to identify low-performing students and schools, according to a recent independent review. Out of nine criteria, Bellwether Education Partners gave the state’s plan for complying with the new federal accountability law six low scores. Proposals for measuring student proficiency and growth and for identifying schools and students most in need of support got scores of 1 on Bellwether’s five-point scale. “They are missing some key elements, so I would fully expect that when they submit their plan and get feedback from the department, there’s going to be a number of areas where the department says, ‘Hey, you didn’t provide enough information,’” said Doug Mesecar, adjunct scholar at the Lexington Institute, who is helping to review state ESSA plans for Bellwether. One issue the review pointed out is student growth measurements. 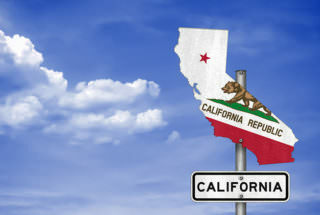 California plans to gauge growth at the school level rather than the student level. For example, tracking school level growth would measure the change in how a school’s third grade performed in 2015 and again in 2016, whereas tracking student level growth would measure how a cohort of students performed in third grade in 2015 and then again in fourth grade in 2016. Measuring at the school level makes it hard to see how programs like a reading intervention affected a specific group of students from year to year, said Mesecar, who compared California’s current method to the No Child Left Behind act. “If California’s theory of action is this continuous improvement model, then I think that they need to do more work on driving the growth model down to the student level because that’s a really powerful method of continuous improvement,” he said. The report also says it is unclear how student sub group performance will be factored into school ratings and how schools that are improving can be identified. In this last area, the state has said it will finish its process for identifying low-performing schools in December 2018, when it has new data. California’s ESSA plan received praise from Bellwether for preparing “students to thrive in a multicultural, multilingual, and connected world.” The plan sets high goals for assessments and standards, reviewers said, and will track disparities in discipline by monitoring suspension rates. In interviews with the L.A. Times, California education policy makers took issue with some of the review’s criticism, arguing that just because something isn’t specified in the ESSA plan, that doesn’t mean the state isn’t already addressing it. Still, Mesecar said the ESSA plan is an opportunity for states to make their education visions more accessible for stakeholders who aren’t necessarily policy wonks adept at navigating education laws.